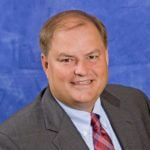 Brian Marita, CPA, was elected Managing Partner of Ciuni & Panichi, Inc. in 2009. In addition to leading the firm, Mr. Marita provides client services for a wide range of industries including mining, manufacturing, stamping, metal forming, food processing, industrial distribution, construction, real estate, retail, food services, and professional services. He has extensive experience in financial planning and business valuation as well as audits, reviews, compilations, general accounting services, cash flow analysis, and projections and valuations. Mr. Marita also advises clients on income and estate and gift tax issues. Mr. Marita received a bachelor’s degree in business administration from John Carroll University. He joined the firm in 1994.